Gone are the days of winter boots and coats and rushing from one warm spot to the next. Now it’s time to bask in longer, warmer days! So, how can we use this time to refresh our career? feel prepared before starting your day. list for a while. It’ll make you feel more in control and that can spill over into your work. back into the office feeling completely refreshed. Want more ideas to optimize your summer? Senior Coach Lee Weisser wrote this blog post on How Summer Can Boost Your Career. And, just in case you missed our last newsletter, we’re offering our powerful Turning Point career coaching session with coach Linda Faucheux for only $97 (a $50 savings, or 34% off our regular price). This offer won’t last long as there are limited spots available. Learn more about Linda’s vast experience and how she can help you below. Hurry and book your phone chat with Nisha to take advantage of this great (and rare) promotion. • One-on-one expert career counselling. 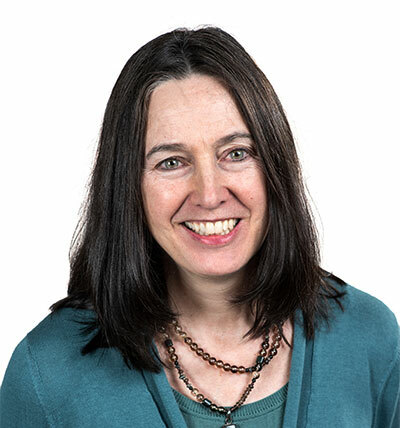 Lean on my 20+ years of career counselling experience – read my bio here. • Available online via Zoom video anywhere you are Book a Free Phone Chat to Learn More or Sign Up No Luck Getting Interviews? • One-on-one expert help from Nadia. Want More Happy Mondays? We’re here to help! Whew! Where has the summer gone!? Since it is almost back to school time, I thought I’d begin with a little physics lesson. Ok, not a physics lesson exactly – but at least a good analogy which relates physics to your career path. Well interestingly, careers can be a lot like that too. When we’ve got lots of energy and momentum, the road to success feels tangible. We are moving up in the world. We are gaining new skills. In short, we are improving ourselves and making a contribution to our company. But what if your career feels more like “an object at rest”? You know, stuck in a rut with little or no room for advancement. Or maybe you feel like your present job just doesn’t fit you the way it used to. The good news is that there is a second part to Newton’s law. An object at rest stays at rest and an object in motion stays in motion unless it is compelled to change by forces impressed upon it. You can change your career. Or you can start moving forward again in the career that you already have. You can get out of that rut. You just need the right strategies (forces) to move it along. I hope you find the following resources helpful in getting your career back in motion! …From the More Happy Mondays blog…. Ready to Get Unstuck? It’s Time For Your Turning Point. • One-on-one expert career counselling. • We’ll listen to your concerns & create a strategy, together. • It’s not just a conversation – you’ll take home your very own Personalized Report with your coach’s recommendations. Shirin, Lee, Pat, Eileen & Roya – your Careers by Design team. One of the highlights of being a career coach is when someone you have been working with finally lands that new job. The whole team at Careers by Design celebrate when that happens! It’s the end of one journey and the beginning of another. Starting out in a new role is exciting but it can be a little scary as well. After getting their dream position, many of our clients come back to us for advice on what to do next. After all, the first few weeks and months on the job can set the tone for the next several years. Making a good first impression now will help you on your career path later on. In order to help you, we’ve compiled six smart strategies for making the best first impression at work. These are practical steps that you can implement right now to help ensure you have more to offer at your job and position you for advancement. But, how do you make a good first impression and set yourself up for success during these all important first few weeks on the job? Here are six smart strategies to help get you started! Learn More Ready to Get Unstuck? It’s Time For Your Turning Point. We talk a lot about listening to your heart to find the job that truly meets your needs and that you will find fulfilling for years to come. But let’s face it. Sometimes searching for a job is downright hard. If you’ve lost your job and are searching while you are out of work, it can be a blow to your confidence. This is especially true if you see people who are younger, or maybe less experienced getting a job that you had hoped for. Could it be that your lack of confidence is hurting you? When you go for a job interview, the person sitting across from you will try to make a judgement about what it would be like working with you. If you go in to the interview with a sense of worry and defeat, you are going to project that. Especially if you’re applying for a job that can be stressful at times (and – spoiler alert – that’s every job! ), a potential employer will want to feel confident that you can rise to the occasion. So how do you project confidence instead of desperation during your job search? Start focusing on the process rather than worrying about the outcome. Start doing things that will help you reach your goal and count them as mini successes. Attend networking events. Take classes. Volunteer. Read. Get Coaching. Take the time to look within and go after what you really want. As you do this, your confidence will grow. At Careers By Design, we can help you with the often difficult and stressful process of job searching. We can give you the tools you need to listen to your heart. And when you start doing that, you will start projecting confidence in your job search. And that will set you on the path to success. • Revitalize your personal brand, get noticed and get results Get My Resume Noticed Ready to Get Unstuck? It’s Time For Your Turning Point. Shirin, Lee, Pat, Eileen, Nadia & Roya – your Careers by Design team. Whether you like to spend your time at the beach, going out to the golf course or enjoying warm summer evenings just gazing at the stars, this is a great time of year to recharge your batteries. It’s also a great time of year to channel your renewed energy into your career goals. Now you might be saying, “but wait, I thought summer was a chance to relax!” And that is exactly my point. When you are more relaxed, it is easier to focus. In fact, using this time of relaxation to sharpen your career focus might help you enjoy your summer even more. We’ve seen people have great success doing just this at a time when things are assumed to be slow. Coach, Lee Weisser, explains more in her featured blog post below. Learn more about how summer can boost your career! Whew! What a winter! Didn’t it just seem to last forever this year? But finally, it seems that Spring has truly arrived. I love Spring because it is a turning point. We can finally put away our winter boots and break out the flip flops. We can start working on our garden, and spend more time outside. It’s a time for renewal. And since nature is renewing itself, I thought it might also be a good time to talk about renewal in your career. Has your job started to feel a little stale? Like you are stuck in a career winter? We all go through periods like that – but if you have been stuck for too long, you might need a little help getting unstuck. A career coach can help you determine what you really want out of your career and guide you on making the right steps. If you need springtime to finally arrive in your career, it may be time to give us a call. Shirin — it’s been so long since I’ve got your newsletter – I thought you fell off the earth! Well actually, I’ve been taking some much needed family time. And that got me thinking about relationships. We have all kinds of relationships at home and at work. And one of our most important work relationships is the one we have with our boss. But, if you and your boss have very different personality styles, it may be hard to get along. It can even lead to conflict and frustration in your career. Maybe it’s so bad, that you are even considering quitting. But it is possible to turn the situation around. Yes, your relationship with your boss can get better! In our latest article at the More Happy Mondays blog, we talk about four secrets to having a better relationship with your boss. Give them a try and let us know how they helped. Learn the Secrets Ready to Get Unstuck? It’s Time For Your Turning Point. is headed off the rails? Does your current role feel like it’s not going well? We work with many clients who have been let go, or are worried about being let go, and aren’t sure what went wrong. With over 12 years in the business, we have uncovered the key reasons why people are overcome by their challenges at work. We also know what clients can do before getting let go to help get their careers back on track. We’ve published several pieces on or blog about this very subject. My hope is that you can be inspired to improve your career situation. And if you’re ready to turn things around, we can help. Want Something to Change – Here’s How to Get What You Want, Faster! • One-on-one Professional Coaching. Proven. Effective. • It’s not just a conversation – you’ll take home your very own customized Personalized Report for More Happy Mondays, filled out by your coach! Pat, Lee, Rachel & Shirin – your Careers by Design team. Everybody hits plateaus in their career from time to time. Sometimes these plateaus can be a welcome rest after a period of intense effort. But stay on that plateau for too long and you can end up in a rut. What once felt like a welcome break can lead to boredom or frustration. So how do you get unstuck in your career? What do you do when you simply don’t feel like you’re growing or learning anymore? This is the time to look within and listen to your heart. Using a a set of techniques from the HeartMath™ Institute, our career coaches help you tap into your feelings, discover what is most important to you and then chart a practical, strategic and effective course of action, completely personalized for you. We’ve been doing this for over 13 years and delving deeper like this is the only way to truly unlock the right path when you’re feeling confused or uncertain about your future. Why? Because everyone is different – no career situation is the same and neither are the solutions. What solutions will you find when you look within? It may be time for a career transition. Or it may simply be time to talk to your boss about getting some extra training and get you moving forward. Whatever it is you need, on some level you already know what that is – you just need to learn how to listen. Learn more about our unique approach to getting out of a career rut. Or read our latest blog post, “Are You Smart but Stuck? How to Listen To Your Heart To Move Forward”. Feeling stuck and unable to move forward? but the great news is you don’t have to stay stuck. Learn how listening to your heart can help you move forward. No Luck Getting Interviews? – 100% focused on drawing out your successes and accomplishments. Want to stay warm this winter? Investing in your career can really heat things up! Often during this season we opt for staying cozy and comfortable at home. We forget about the possibilities for ourselves and our careers beyond what we know. One of the best ways to stay energized and warm this winter is by investing in our careers. Why not join a new committee at work, or take time to think of your strengths and talents. When we build on our strengths, discover things we enjoy, we create more positive energy in our lives. This will keep you warm no matter the temperature outside! Check out some resources on how to invest in your career, and why. Investing in your career: How to do it, and why? Reflect: How would you like to invest in your career? There are many ways that you can invest in your career. Not all are created equal for each industry. Discover ways that those in your field or organization have increased their skills, built on their strengths or discovered new opportunities. A great way to investigate is through LinkedIn! Check out those in your field or at your company, reading their skills, interests, what they’ve been endorsed for. It can give you a great place to start. It’s Time For Your Turning Point with Pat Parisi, M.Ed. • It’s not just a conversation – you’ll take home your very own customized Personalized Report for More Happy Mondays, filled out by Pat! Pat, Lee, Eileen, Rachel & Shirin – your Careers by Design team. Last week I wrote to you about how you can transition into a new career if you are an older worker. But what if the opposite is true? What if you are young, relatively inexperienced in the workforce or a new grad? In just a couple of weeks, students in Ontario universities will be writing exams and those who are in their final year will be looking for permanent employment. But why wait until exams are over to start preparing? Now before you protest that you can’t look for work yet because you are too busy studying – let me explain. There are simple things you can do now that won’t take a lot of your time. And if you do them now, landing your dream job will be that much simpler once you complete your courses. 1. Make connections. Take time to meet people in your chosen industry. Attend a networking event. Take your favourite professor out for a coffee and ask if she can introduce you to others in your field. 2. Polish up your resume. Start thinking about the kinds of companies that you would like to work for after you graduate and start tailoring your resume to those companies. 3. Clean up your social media. If you don’t already have a professional looking Linkedin profile, the time to create one is now. Also take some time to review your Facebook, Instagram and other social media profiles and remove anything that might cause potential employers to question your employability. In closing, let me say congratulations on your pending graduation and all the best in your job search! Feel free to forward this email to the new grads in your life! It’s never too early or too late for your More Happy Mondays. Are you wondering if you are too young (or old) to get career coaching? Are you not sure what you could work on? The truth is, coaching may have different priorities at different stages of your career. A client looking to explore post-secondary programs can gain career confidence and explore a career path that fits. A more experienced client can learn how to leverage experiences for a position that aligns with their long term goals. Whether you are at the beginning, the end, or somewhere in the middle, developing resilience can help you flourish in your career. Resilience happens to be our speciality. Check out our success stories from past clients at every stage of their career. If they have found success through coaching, so can you! More Happy Mondays At Any Age! After graduating, the concept of entering the workplace was a bit overwhelming. I wanted to make sure I was heading in the right direction to ensure lifelong learning, success and happiness. Through working with Careers by Design I gained valuable perspective, focus and reassurance that I was on the right path. My coach helped me clarify my goals and gave me the resources I needed to ensure future success. many areas of my life…When I decided to find a career coach, my objective was to get some career guidance. I never really expected the positive impact that our sessions would have on both my personal and career life. Participating in The More Happy Mondays career coaching program … boosted my confidence so I could take the next steps to get out of a difficult situation. My coach helped me to explore my options and I decided on a new direction with confidence. Learning more about myself helped me to leverage my skills and experiences and use them to start a new venture that is off to a strong start. • Available online via Video Skype anywhere you are or in-person at our offices in Toronto, North York, Mississauga or Kitchener Waterloo. What’s holding you back from going after your (next) dream job? People have all kinds of answers to this question, but one common answer that I hear all the time is that they are too old for someone to hire them. And I get it. It can be challenging for a mature worker to start over in a new position. But it is becoming increasingly more common for employers to hire workers over the age of 50. And the statistics prove it! Twenty years ago, less than a third of those aged 55 and over were employed or looking for work. But today that number has increased by 10%. As our country increasingly faces a skills gap, employers are looking to tap into new labour pools – and that includes mature workers – who employers value for their experience and loyalty. There is a famous quote that says “You are never too old to set another goal or to dream a new dream.” And that quote has never been truer than it is today. If it’s been awhile since you been on a job search, you might not know where to start. But don’t let that stop you. You might need a little coaching – but your next career could be just around the corner. with your extra hour today! Did you enjoy the extra hour of sleep this morning? Hopefully most of your clocks were able to “fall back” so that you could get a little more beauty sleep. What do you hope to gain now in your career? Today you get back the hour you lost in the Spring. It’s just 60 minutes, but so full of possibilities. Let this be the day you spark change in your career. You have so much more than one hour to gain. Interesting Links: All about change! It finally feels like it’s time to put away that winter coat! The birds are singing and tulips and daffodils are starting to poke their way up into the sunlight. And since tomorrow is the first day of spring, I thought I’d write to you about some spring cleaning that will help you with your job search. If you’ve been searching for a new position for some time, it might be a good idea to take this change of seasons to change your approach. Here are a few of my ponderings on how you might just be able to spring clean your way into a new job. Is your calendar in line with your priorities? Do you have time booked in there to develop your skills, meet with a mentor or go to networking events? Go through your calendar, and if you find it is not aligning with your goals, maybe you need to rearrange and focus on what matters to you. More and more employers are hiring based on referrals. The relationships you have with others may be your most important asset when it comes to landing that job. Keep in touch with your important contacts on a regular basis and let them know what kind of position you are seeking. You never know where that might lead. 3) Shine up your online presence. Frequently employers will look up potential job candidates on Facebook or Linkedin before they even call them for an interview. Make sure your social media profiles reflect the type of offer you are looking for. If you have a portfolio that can be shown online, make sure that it is. Having a great online presence that reflects your career goals may even result in recruiters coming to you! in a new city, province or country! Have you always dreamed of moving to a new city, but feared being able to find work when you get there? Have you moved to Canada, and aren’t sure how to start building your new career? Many people aren’t sure where to start when it comes to relocating and their careers, but with the three P’s, you can cut your time between jobs to be much shorter! They are: planning, proactivity and practice! Plan a visit (if you can) to your new locale, to get a sense of the job market, and companies you could work for. Be proactive, seeking out support from those both in your industry, or career experts that can get you prepared for the new market. And finally: practice! To be successful in an interview, it can take some preparation and practice to get it right, especially if there is a difference in language to culture. Practice makes perfect! We’ve included some more resources to help prepare you if you have moved or are planning to move for your career this week. Enjoy! TEDX Talk: Why move to a new city…? If you’re feeling stuck, check out this video about why moving to a new city for your career can be a great move, and what you could gain! Once upon a time, those who had difficulty landing a salaried job with a stable company had to come up with creative solutions like temping, and freelancing. Did you know that contractors, temps and freelancers now make up 34% of the workforce? And according Brad Smith, CEO of Intuit, this number is expected to grow to 43% by 2020! So is the working in the gig economy right for you? Are you looking for greater flexibility and mobility? Want to expand your network and work on a variety of projects. These are some of the benefits if you work as a contractor. Of course, to thrive in the gig economy, you are going to need some serious business skills. Are you willing to do what it takes to sell your services to potential clients – over and over? Are you able to manage your money so that you can handle fluctuating pay? Are you disciplined enough to save what you need for tax time… and retirement? These are all things you need to consider when you are working in the gig economy. Like anything else, there are pros and cons to doing contract work. And you need to weigh them. Check out some of our articles below to find out more or consider hiring a Careers by Design coach to help you decide if this option is right for you! Happy Halloween! Tonight is the night to transform. What will you be? Do you remember the magic of Halloween from when you were young? You could become any one, any thing, for one day. What if you could do that for your career: try on something new, to see how it fits? We often forget that there are so many possibilities for our careers. And just because you’ve spent part of your career in the wrong one, doesn’t mean it’s too late to find a career that fits. We can’t become cowboys or cops overnight, but we can start thinking about the possibilities that excited us when we were young. Don’t let this Halloween scare you, but inspire you to try on something new. An oldie, but a goodie! A song about working late with monsters who dance! Have a listen, and don’t forget to do the mash. Certainly one of the most nerve wracking aspects of any job hunt must be the interview. Sure it is exciting to get the call. I mean, someone recognized your potential fit through your resume. You should feel honoured. But now you have to prove yourself all over again against other qualified candidates. And that can be terrifying. So how do you set yourself apart from the crowd? Make a good first impression. I mean really – the hiring manager will decide what they think about you within the first 10 seconds or so. So dress appropriately, walk in to the room confidently, smile, and give a firm handshake. Remember that 70% of communication is non-verbal. So watch your body language. Don’t fidget or slouch. Be sure to do your homework as well. Research the company and position as much as you can prior to the interview. And spend some time thinking about those lovely interview questions like, “What is your greatest weakness?” Be prepared to give thoughtful and original answers. Finally, remember that you’re there to interview the company as well. Ask questions that will help you decide not only if you are right for the position, but if the position is right for you. Job interviews don’t have to be scary. They can be an exciting step in your career search. And the better prepared you are, the more exciting they will be. Need more detailed tips? Be sure to check out the articles in the links below. And if you’d like interview coaching to help you up your game, contact the team here at Careers by Design. Happy Thanksgiving! We hope you’ve spent the weekend with family and friends: recounting old memories, telling good stories, and eating to your heart’s content. Thanksgiving is a holiday that encourages us to remember what we have to be thankful for. Gratitude is powerful and it doesn’t matter if you savour big things like the people who support you or smaller blessings like that hot coffee you treated yourself to this morning. Practising gratitude recharges our batteries, and prepares us for the week ahead. It boosts our confidence, and makes us feel more in control of our careers. And the best part: you can practice gratitude even after Thanksgiving, for benefits the whole year round. We’ve included some links and an activity this week for practising this skill, as a thanks for your continued support. One of the best ways to start off your day right is to spend a few minutes thinking of all the things that you’re grateful for. If you’re worried about finding the time to do this, or finding a way to remember to give thanks each morning, tie your morning gratitude session to your morning cup of coffee. The warmth of the coffee mug you’re holding;The aroma of the coffee;That first sip of coffee;The beautiful morning;The beginning of a new day full of promise;The quiet just before the day officially starts. Do you wake up in the morning stressed out about having to go to work? Do you sometimes feel like throwing in the towel? It might be time to quit. You heard me right. Quitting a job is never a decision that should be taken lightly, but there are times when it is the right move. As career counsellors, we want our clients to take a step back and assess the situation. By making the connection between head and heart, you may find a solution that will help you love your job again. But then again, sometimes the answer is polish up that resume and move on. So how do you know if it is time to quit? There are several possible signs. Perhaps you have a new manager and no matter how hard you try, you can’t seem to please her. Maybe your duties are being stripped away bit by bit and you’re feeling redundant. Or maybe you’ve simply gone as far as you can go with your current company and there’s no room to grow. If you think it’s time to seek out a new opportunity, you don’t have to go it alone. A career counsellor can help you work through your issues and help you determine whether or not quitting is truly the best choice. And if it is, a counsellor can help you seek out the best opportunities and assist with the transition. Be sure to check out the articles in the links below. And if you’re at a career crossroads and need help, contact the team here at Careers by Design. Want More From Your Work? Just Ask! If your current job isn’t quite fulfilling your needs or ambitions, this might be a question you ask yourself quite often. Or perhaps you’re happy in your job right now but you can foresee the day when you will want to take on more challenging tasks. Before you pull out the classifieds and look for something new, it might be wise to have a little chat with your boss. Yep, you heard me right. It might be time to talk to your boss about your career ambitions and learn about what opportunities might be right under your nose that can help you get to where you want to be. Oftentimes, the prospect of telling your boss that you want to grow in your career can feel like a scary prospect. But unless you are thinking of changing fields outright, there is actually very little risk in doing so. If you work for a manager that isn’t receptive to providing you with professional development opportunities, you may have to seek them out outside the workplace or get the help of a career counsellor, but generally managers will appreciate the fact that you are coming to them for professional development. In fact, you may just plant the seed of opportunity. By letting your boss know that you are open to accepting more challenging assignments, you could be setting yourself for advancement and career growth. If you’re ready for more, in many cases all you have to do is ask. Are you still making the same career mistakes? Find out how to move on from your past to a brighter future! He was sentenced to an eternity of pushing a boulder up a hill, only to watch it to roll back down again, over and over. Many of us feel a lot like Sisyphus did: working tirelessly to get ahead in their career, only to have it not work out, over and over. Often people keep trying to forge their careers, while using the same methods, and making the same mistakes. Sometimes, having an outside perspective can help you see where you may be going wrong. A coach can help you see what changes you can make to move forward and get your Happy Mondays! 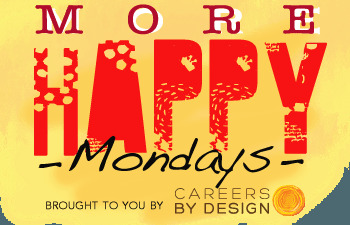 Check out some of our posts from the More Happy Mondays Blog, exploring common career mistakes, and how to overcome them. Learn how to leave the boulder behind and become the hero of your own career story. Discover: Are You Sabotaging Your Career? Have you always wondered how to take your creative past-times, and turn them into a career? It is possible to create your own brand or business and share your gifts with the world. It takes many things for an entrepreneur to be successful: a good business plan, a strong professional network and support from those you trust. Coaching can help you build all three. This week is all about the successes of others who have been able to turn their passions into careers, and how you can do it to! “I knew beforehand that writing was one of my passions that I wanted to pursue as a career. Fall in Love with Your Career! With Valentine’s Day quickly approaching, I thought I’d take the time to write to you about love. February the 14th can be both wonderful and terrible. It’s wonderful if you’ve got someone to share it with but it can be really hard if you’re alone and you have to spend the day looking at other couple’s lovey-dovey posts on your Facebook feed. In the same way, if you have a good relationship with your career it can be a wonderful thing. But if you’re stressed or frustrated at work, it can be extremely painful. If you are unemployed, you might feel tempted to jump at the first job offer that comes your way. But as in personal relationships, making a hasty decision about your career can quickly turn into regret. On the other hand, if your relationship with your career is not so good, you might be tempted to jump ship. But before you get involved in a messy breakup with your career, consider that you might be able learn to love it again with a little counselling. 1. Do these things to find a job that you love. 2. Focus on love deliberately. Turn your thoughts toward the positive and what you are grateful for. 3. And finally, if you really don’t like the job you have, take these steps before breaking up with it. I hope you spend this Valentine’s Day with someone you love. But why not also take some time to fall in love again with your career. Make a change and show your true colours! Isn’t Fall such an inspiring time of the year? Suddenly the nights are cooler, days grow shorter, and the trees are bursting with colour. Fall is all about one thing: change. Sometimes change happens because we look for it. Other times, it is thrust upon us. Just like the changing seasons, sometimes change happens in our careers whether we’re ready for it or not. Sometimes we want to make a change in our careers to show our true colours. Other times something beyond our control forces us to find a new path. Change is challenging. Career coaching can make you more resilient, and an expert change navigator. Just like the beautiful maple trees that will soon become brilliant shades of red and orange, sometimes you have to lose all of your leaves before becoming an even bigger and better tree come Spring. Ask a coach: How do you build resiliency for a career change? My husband was recently laid off from his job. He’s been trying hard to get back into the workforce, but after 6 months of looking, it’s starting to get to him. How can he get his energy and motivation back? Building resiliency can be helpful when a job search is taking longer than you expected. Here are a few ways your husband can regain his motivation and energy, and find his resiliency! Self-care: make sure to get enough sleep, eat well, and exercise. Taking care of our bodies reduces feelings of stress. Set SMART goals: specific, measurable, achievable, relevant and timely goals help build confidence and feelings of accomplishment. Reframing: try to reframe negative events into positive ones (“I was laid off” becomes “I have an opportunity to find work I actually enjoy”). Get support: build up a network of support, from family, friends and past colleagues you can talk to about your struggles and your triumphs. Our coaching programs focus on building resilience, and we have more tools to help foster this in our clients. The stronger your resilience, the faster you get to More Happy Mondays. How to best support a loved one when they are struggling with their career. Are you supporting someone in your life who is unhappy with their career? It can be challenging to watch a family member or a friend struggling with their career and feeling stuck. We often hear from people wishing to help their family members move forward, but aren’t sure how. How can you support someone make a change when they aren’t yet ready? A great first step may be to help them tap into their motivation: how will things be better at a new job? What will they gain? How will their family, as a whole, feel better? These future based questions make us feel that change is possible, and remind us of all we have to gain when we find the courage to make a change in our careers! Here are some additional resources on how to support your loved ones through challenging career moments. What was your career dream? People who are unhappy or unsatisfied in their careers often tell us that once upon a time, they had a dream. For one reason or another, they weren’t able to make it a reality. Whether it was family pressures or responsibilities, or they didn’t know how to make it happen, their career dream fell to the wayside. Are our career dreams simply wasted? Exploring our dreams can be a great way to take stock of our passions, our values and our skills, necessary for feeling fulfilled at work. We may not all grow up to be Prime Minister or a pop star, but what we aspired to be when we were younger can give us great direction for where our careers could go in the future. What was or is your #dreamjob? Tweet us at @cbdcoaching or talk with us on our Facebook page or on Google+. Explore: What was your career dream? Do you remember your earlier career dreams? Did you want to be a 5 star chef? Maybe a CFO of a Fortune 500 company? Or did you want to be an elementary school teacher? Whatever the dream, it can be a great place to start when you aren’t sure what might be next for your career. 1. What is exciting about your dream? Why would it be great to make it a ‘dream come true’ career? 2. How does this relate to your current work values, natural talents, passions or interests? 3. Why didn’t this dream become a reality? These questions can help you understand your career desires and values, which are closely linked to career fulfilment, and Happy Mondays. You’ve done it! You’ve identified your passions. You’ve created a stellar resume. You’ve made contacts in all the right places. And now? Now you’ve been called in for an interview! For a job seeker, the interview is where the magic can really happen. Not only can you start to get a real sense of the company that you’re applying to, but now is your big chance to showcase your talents and winning personality. But the interview stage is also where mistakes can be made. Nerves kick in. You might even say the wrong thing. Perhaps the interviewer asks a question you weren’t quite prepared for. The interview really can make or break your chances of landing the job. First, be mindful about what you really shouldn’t do! In this interview with Global News, Careers by Design Senior Coach, Lee Weisser, talks about 9 things you say in a job interview that will disqualify you for the position. Next interviews are all about preparation, preparation, and more preparation. So do your research carefully. Check out an hour-long video interview with yours truly on Toronto Speaks on this very subject. Lastly, looking for more great interview advice? Check out the following links below. Some are articles I’ve been featured in where I’ve drawn from more than 15 years of coaching job seekers on this very topic. Watching the class of 2016 make their way back to school might have you wondering: should I to go back to school? Many people fear that the only way to make a career change is heading back to the classroom. While upgrading your credentials is one way to a new career, often it’s not the only solution. Understanding yourself and having a clear career goal is a prerequisite to knowing if more school is the best option. It’s important to know the costs of going to school (financially, personally and professionally), as well as the kinds of support you will need in order to be successful. There is more than one way to get to your Happy Mondays. Exploring your options now will save you time and money in the long run.